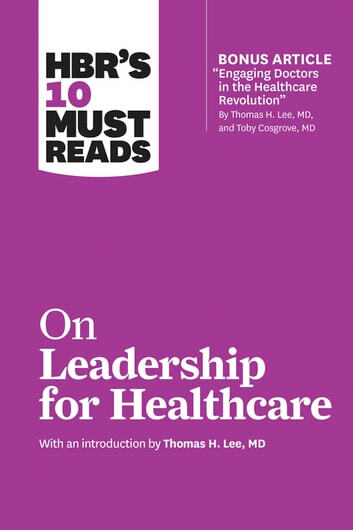 Go from being a good practitioner to being an extraordinary leader of healthcare professionals. If you read nothing else on leadership, read these 10 articles. 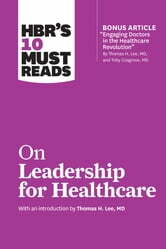 We’ve combed through hundreds of Harvard Business Review articles on leadership and selected the most important ones for healthcare leaders to help you and your team excel, maximize performance, and live into your mission. HBR's 10 Must Reads paperback series is the definitive collection of books for new and experienced leaders alike. Leaders looking for the inspiration that big ideas provide, both to accelerate their own growth and that of their companies, should look no further. HBR's 10 Must Reads series focuses on the core topics that every ambitious manager needs to know: leadership, strategy, change, managing people, and managing yourself. Harvard Business Review has sorted through hundreds of articles and selected only the most essential reading on each topic. Each title includes timeless advice that will be relevant regardless of an ever-changing business environment.